ALL our testimonials are as they've been sent to us. On some training courses out there, they'll get you to do a video before you leave. Well obviously people are on a high after their course has finished, they haven't had a chance to go home and think. How we differ is we'd rather get an honest testimonials from our customers, weeks, months even years later... The course is just the start, it's afterwards that we excel. Read on, you'll see. You will also see that WE HAVE TAUGHT OUR COMPETITORS! So come to us and Get Taught By The Teacher and Not The Pupil! "When conducting my research, out of the two main companies promising the window tinting training, I decided to go with Ultimate Tinting as they came across very honest and friendly but not pushy trying to get you in. The info provided by Tim during our first call was good enough to make me decide to sign up. However, when at the training I was surprised to see the level of involvement and extras given. I received a basic tool kit right from the beginning and 1-2-1 training provided by John DenBrader who is an absolute pro at what he does. The training structure was easy to follow and nothing was left out or uncovered. All my questions were answered and they even provided lunch and ensured that the accommodation and everything else was ok. Following my training I went back (on a Wednesday) and that evening I also had my first car in. 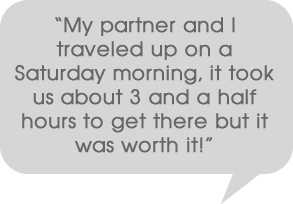 The client was happy and so was I as I was getting my money back sooner than I thought. At times when I was uncertain or I needed further advice, I called John or Tim and they always helped with no hesitation. Also the Ultimate Tinting forum is an amazing tool that provides you with info when you need it the most. The other people in the group are real professionals who will help with advice on everything re your business. Within my first two weeks I got my training money back and for me this is just a second - part time job. I remember the question that I always had in my mind before starting the training: "will I get my training money back?" Well the worst week situation (when I'm lazy and I need a break so I don't advertise) shows just over £500 with the best week being just over £1200 (once again this is a part time job for me). I'd recommend Ultimate Tinting to anyone...otherwise you don't know what you'll get...."
The reason I picked ultimate tinting was because when I talked with Tim he did not fill my head with crap. He talked me through what the window tinting course would be like and he left it up to me to decide if it was for me. When on the course John taught me everything I needed to know about window tinting. He showed me different techniques. What I liked most about the course was that John would show you how to do something then leave you to do it yourself so you could learn instead of me just watching how to do it. Then he would tell you what you done right or how you could do something better. After the success of the tinting course I then looked into the wrapping course and again Tim could not do enough for me. I had booked in to do the course then was told I'd be on jury service and i was afraid it would run on to the week I had booked into do my wrapping course but when I talked with Tim he said if we needed to do it a different time that was no problem but thankfully we did not need to do that. The wrapping course was as enjoyable as the tinting course. The support you get after the course is first class also. If you have any question John or Tim are only a phone call away or you can look on the ultimate tinting private forum which I use almost every day. Being new to window tinting every time I have a new car come in the first thing I do is go to the forum to see how to de-trim a car. I would say this is the best thing about forum for myself. Having only opened my own business in June 2016 I try to get one car a day so I don't put myself under to much pressure and even at this early stage I am able to make on a good week between £600-£700. I am sure in time and with more practice I will get quicker and will be able to book more cars in. I would definitely recommend anyone looking to get into window tinting and/or car wrapping to give the guys at Tint School a ring and talk to Tim or John they will not put no pressure on you. It is definitely the best money I ever spent and I can not thank the guys enough for all there help. John and Tim are always at the end of the phone for advice , I've even texted on an evening and had a reply which I think is amazing. Support from ultimate has been brilliant. When I decided to get into the world of tinting I was moving into a whole new career. I contacted a few places but Tim wasn't a salesman and he didn't try to sell me a slick package. What he did do is he talked me through the process and what they did and from research I knew he'd been in the business a very long time so it was a no brainer to have them train me. My training was with John and I really believe I couldn't have had a better teacher. Johns been around film for a very long time and knows everything there is to know about how to apply and manipulate it and that was very obvious within the first day of training. Being on the ultimate tinting website has been very good for business. 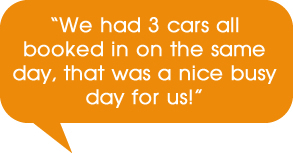 Customers like the fact we're endorsed by ultimate tinting and it prompts them to contact us. On my best week of tinting cars and doing flat glass work I made over £1100 and although that's not a weekly achievement that was in my first year of trading, Tim told me tinting can be lucrative and he wasn't wrong. Thanks for all your help boys. I even went back to do their car wrapping course too! "I can hand on heart say you will not find a better trainer for window tinting or wrapping out there"
Its been a few weeks since my brother (Aamir) and I (Muhammad) were on your course. Aamir realised his final dissertation was due a month earlier than he thought and I was dragged across to Ireland for an Audit with work and in the last week have just become a dad again. We are now aiming to have our business up and running by the start of next month. I just wanted to thank you for a brilliant and properly knackering week and a say a massive thank you to John our Tutor for sharing all his wisdom. I'm not normally one to write a review or testimonial but after the week we had with you guys I really felt I had no choice but to write one. I am an Accountant by trade and over the last couple of years have been fed up of a 9 to 5 desk job. My younger brother Aamir is a Media student who will be graduating in May 2013. We both have a passion for business and have been researching different businesses we could start up. Although we have virtually no experience working with cars window tinting and wrapping seemed like a brilliant place to start mainly due to the low start up costs, exceptional margins and endless opportunities. After months of researching different companies offering vehicle wrapping and tinting I found myself kept being drawn to your company. Although you weren't the cheapest you were the most genuine and having spoken to you on the phone I wasn't later hounded with sales calls or promotional material through the door. In fact the next time I spoke to you was 4 months later when I phoned you to book the course. We opted for the 8 day training course, 3 days tinting, 1 day flat glass and 4 days wrapping. I have to hand it to John our tutor, he is a phenomenal guy and most definitely a master of his trade. I can hand on heart say you will not find a better trainer for window tinting or wrapping out there. He had the mammoth task of training two complete novices with no experience whatsoever working with cars and on top of that he was to train us how to wrap on one of the most difficult vehicles. an Audi Q7. John has a wealth of experience in the industry and its highlighted in his teaching. He has an in-depth understanding of the tools used for wrapping and tinting and the material and their manufacturing processes. He encouraged us to ask as many questions as possible, no matter how trivial they may have sounded. John picked up on our strengths and weaknesses and although there were two of us on the course he gave us one on one training when we needed it. His training method is bar none and he will be straight with you when need be, which to be honest, is what you want when your paying to learn a trade. The course is pretty full on and as much as we enjoyed it we were knackered by the end of it. The course provided plenty of practical experience and we were even given keys to the garage to practice as much as we wanted in the evening. We ended up working some very late nights to get the Q7 completely wrapped from black to white. As well as the training we were given contacts to the best suppliers in the industry and manuals and training guides on how to develop and expand our own business. Tim and John have done a brilliant job designing this course. My brother and I both felt Tint School is not simply a company chasing profits but instead is one that truly wants its trainees to succeed in their own business venture and Tim and John will pretty much support you where they can to get you where you want to be. Aamir and I left the course not feeling like professionals but felt we were equipped with the necessary means to go out and start a business in vehicle wrapping and window tinting and in time hopefully become professionals in the trade. I would most definitely recommend Tint School to anyone looking to go into this trade as you simply will not get what you get with these guys anywhere else. We have three cars lined up for wrapping next month and several for window tinting so will keep you posted how we get on. 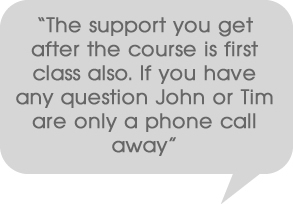 "real help is literally just a phone call away"
Hi Tim and John, Its been just over 2 weeks since I finished my tinting course with you and thought it was about time I let you guys know how good I thought your course was. I would like to thank John an awesome tutor and an excellent course. But its much more than just a course. All the things you get at the end of the course in literature is just something money cannot buy it would take us years to find this kind of information out. Also the forums on your website are a fantastic help. On top of all that the real help is literally just a phone call away on two different occasions I have spoken to both Tim and John and the help from both has been tremendous. Here's to the future guys and I will see you next year on my wrapping course. "Unlike the 'competition', you didn't bombard me with emails or phone calls"
I went with an Ultimate course because I felt most at ease with you on the phone! Unlike the "competition", you didn't bombard me with emails or phone calls, you answered all my questions with honest answers & left me to come to my own conclusion. The course was pretty much what I had hoped it would be, although I'm very glad I went with the 4 days and not 3 - I hate to think how late the nights would have been - as it was I stayed practising until gone 10:30pm on 2 nights! I really like how laid back the courses are, and that it is 1 on 1 - I don't think I'd have got anything like as much out of the course if there had been a group of people. I will be back to do a tinting course with you despite the distance from Kent - I can't imagine being trained by a better company! Many thanks for that Oliver, and thank you for not only being a fantastic pupil but putting together the FANTASTIC video. See you for the tinting soon. "anyone is wanting to start auto tinting this is the course to do"
Hello Tim. Thanks for a great auto tint course. If anyone is wanting to start auto tinting this is the course to do. After looking at sites about auto tinting i kept on going back to Tims site and finally got in touch with Tim and i am pleased i did. From the first minute i spoke to Tim i knew this was the course to take. Tim put me at ease. There was no pressure off him, he answered all my questions i wanted to know so i booked the course and i was not let down. There is no classrooms. It is one to one training EXCELLENT. Tim knows so much about the tinting industry. This is the course to come to even the griffin pub is so friendly i could go on and on. Don't waste your time looking any where else believe me this is the one. Ps thanks tim for information and help i'n helping me set up my own unit hope to see you soon. TIMS REPLY: Cheers for that Paul. Paul had previously been a flat glass tinter for the last 15 years and decided to move into automotive. We train lots of flat glass guys and they've all gone on to be very successful. So book yourself onto the course that the professionals choose!!! Hiya Tim, Just wanted to thank you and John for a brilliant, if knackering week. 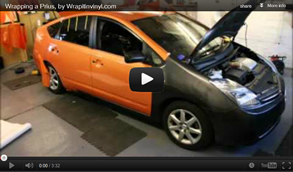 (tinting & wrapping). The course far exceeded my expectations. All going well, "PRIMO-TINTS" will be up and running as soon as the building work on the garage is completed. I have registered on the forum and plan on making it to the meeting in November. "very impressed with the amount of practice time that we had..."
After several years of bring stuck in the same role I decided to do something different and as I had always wanted to work with cars and as I was to old to retrain as a mechanic, tinting I thought was the way to go. After hours of scouring the Internet I kept going back to the ULTIMATE TINTING website, and then after speaking to Tim I decided it was the right choice and signed up for the course. The course is very indepth and covers much more than I thought. I was very impressed with the amount of practice time that we had over the week which covered various senarios on cars and how to also tint flat glass. Tim is an excellent trainer with patience for the most menial questions we had/have. 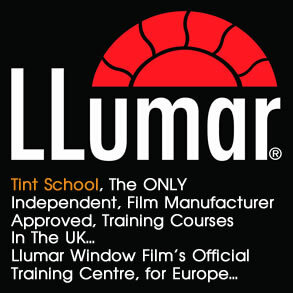 I would highly recommend this course to anyone who wants to start their tinting career. Hope this is of some help. "...i wasted a whole lot of time and money trying to teach myself..."
I currently work in our family business that is car valeting and auto body repairs, when the recession kicked in i felt we needed to keep on our toes so i looked into something that could enchance our services. i decided to look into the automotive tinting. basically i wasted a whole lot of time and money trying to teach myself buying dvds online ebooks running upquite a large bill and after that i was no further, i decided enough was enough and researched training courses that was close to me i found a few but out of them all tims tint school seemed the most professional and his people skills was second to none, within the 3 days i found out tips and tricks of the trade that money simply could not buy. i recommend the tint school to anyone who is serious about learning this skill properly, dont waste your time with anyone else . "...came away knowing I could do this on my own..."
When I decided that window tinting was the way forward for me, I knew very little about it so when searching for advice and training it was of utmost importance to me that my training was professional, understandable and most importantly in-depth. Having spoken to others in the same field, when I first spoke with Tim I came away thinking here was someone who was communicating on my level and who I felt I would gain most from. The training course was confidence giving and hands on, so I came away knowing I could do this on my own but also that if I needed it I had Tim's experience on the other end of the phone. "Tim collected me from the airport and we got started straight away"
I chose to do this course with tint school as I had spoke to Tim months before hand and he was always very helpful, I got back in touch with Tim at the start of this year and chose the three day automotive tint course as advised by Tim. Once I arrived Tim collected me from the airport and we got started straight away. He is always there to help you throughout every stage and trust me you can ask him anything and he will have the answer. I would always recommend Tim to anyone and to do his courses as they are all 1 to 1 no groups. The knowledge training and advice I got from Tim was amazing and even still now he will ring to see how I am getting on and any silly questions I may have he will still answer. I was very satisfied with Ultimate Tinting's training course. The 3-day course is totally one-to-one and very hands on. Tim really knows his tinting and seems to enjoy passing on his expertise. I have now been tinting solo for a couple of months and when I have a problem Tim is always the other end of a phone call and always happy to help. I would recommend this course to anyone planning on a potentially lucrative career in tinting and I urge people not to compromise for a cheaper course. Thanks David, thats very kind, what are you doing with yourself these days? "at night I had access to tims workshop to practice on my own which was great"
Hi Tim I would like to personally thank you for your all your help, reassurance, the advice & expertise skills shown on your window tinting course. For those reading this: Ii decided to add window tinting as an extra to my graphic signmaking business, ive been working at signs / vinyls for almost twenty years & I learned alot from this course, & it was a big help to even cleaning preparation for sign panels etc which I thought I had mastered. I googled "window tinting courses" tim was the first person I contacted, as above on our telephone calls he reassured me that if I listened , practiced & if Ii was determined I should be able to tint before I left after my 3 days... and he was right. though I will say tinting isnt easy to start off, there will be sweat & tears... it will take weeks but it gets better & better with practice / patience and every car is different. I would highly recommened this one to one course, its a one stop shop as well, ive been buying my tinting films / tools of "ULTIMATE TINTING" which are easy to work with & customers like the tone of the colours. delivery is excellent & most of all the important thing to me is Tim is always at the end of the phone if I have any queries or problems & if hes busy he will always phone you back...thats priceless! "don't let the initial outlay put you off"
I couldn't not recommend the course with Tim and (in our case) Ian. Not only were they very welcoming and friendly but gave soooo much information and a very genuine insight into the industry..don't let the initial outlay put you off Tim gives you lots of equipment full use of the work shop and lots of time and attention to detail, which shows in his work all this as well as including your stay at the Griffin Pub B&B (which is excellent). We only looked at a couple of courses however my business partner and I knew we had chosen the right one for us. So in short go for it..
"you will learn the simplest and most effective ways to do every step necessary"
The short version is: When I first spoke with Tim on the phone I asked him, whether I would be able to tint a simple car on my own after the training is complete. His answer was a firm "yes". Later I found out he was being modest. After the training I could take on any car that came my way. Thank you Tim (again and again and again!). If you are in for the long version then keep on reading. I think that the most important aspect of Tim's training is, simplicity. I tried to tint cars before taking the training. I managed to do a few, somehow, someway. Every single minute I was tinting I was continuously asking myself: Am I doing this right? Will this shrink? There must be a way I can cut this better. Why do I have so much contamination? With Tim, you will learn the simplest and most effective ways to do every step necessary. After the training you will know what to do, when to do it and most importantly WHY to do it. This will built up your confidence. Prior to the training, Tim was very helpful and patient over the phone. He took the time to answer all of our questions and explain to us, step by step, what the training is about. Had no problem arranging the training over a weekend. He picked us up from Manchester airport. He arranged for us a room in a lovely pub just across the street from the workshop (If you stay there you have to try the double burger, the spicy chicken and the veg soup!). He gave us the keys to the workshop in case we wanted to practice later in the evening, or make an early start next day. He even gave us the keys to a nice little hatchback in case we wanted to drive into town. Everything around our trip and our training was made so pleasant that I was able to relax, train and enjoy it. Ps. By the end of day #2, I was able to heat shrink and install the rear screens of the VW Golf Mk5 and Peugeot 205, flawlessly! "Tim's course it is the only one i could see that was worth doing..."
After trying to tint my nephews corsa and thinking "how hard can it be !!" and after a few metres of wasted film i decided to check out tint courses it was clear that tint school stood head and shoulders above the rest Tim's 1-2-1 training provides a relaxed and enjoyable atmosphere. Hi Tim, I've returned last week from a course with Ian at Tint School Spain. What a great course, Ian really knows his stuff, and most importantly can pass it across easily. Also he and his family were very welcoming, so a big thank you to them all. Highly recommended. I am now in the process of setting up here in Cyprus as TintWorx, and hopefully will soon be working at it full time. "I felt the 1-2-1 tuition was essential..."
I'm just home from being with Tim for a few days and what an eye opener it was. Having fitted film on flat glass for very nearly ten years I decided to contact Tim and book myself in on a car tinting course to open my options. Tim started the course from exactly the right angle, not too basic as i knew the characteristics of window film, but not advanced neither so it was very easy for me to follow his instuctions for autotinting. His style of teaching is very relaxed and it instantly allows you to learn in a friendly atmosphere. I felt the 1-2-1 tuition was essential in the quick learning curve I was on as anything else would have led to frustration. Being the only one there allowed me to concentrate knowing that Tim was watching my every move and putting me right whenever I went wrong. From first contact to completion of the course Tim has been first class in every aspect of his professionalism. Thanks very much for the tuition and I now can't wait to get started with the confidence to carry out a quality car tint. Especially as i managed the 205 rear screen first time ;-) Cheers for the brews!!! "brilliant guy recommend him to anyone..."
I just attended Tint Schools 4 day training course. Tim was brilliant with showing me his methods of how to fit window tint and flat glass film, all hands on which was 1 to 1. it was a brilliant 4 days where i learnt everything i need to know to get me started and he also got me in touch with the right people and i also have on going support after i done the course. brilliant guy recommend him to anyone who wants to come into this trade. "his aftercare is the best in the business"
I've just finished the Tint school's 4 day course, i can honestly say Tim is the best. He has the patience of a saint as i proved. Tim's step by step sequences are brilliant and he drums them into you. At the start i knew nothing about tinting by the end I was able to tint my own car. If you are looking to take a window tinting course and you want the best course for your money, then Tim's course's are what your looking for and his aftercare is the best in the business. Tim thanks for everything, i had the best 4 days. "THIS IS THE COURSE TO DO!" Well where do i start... from the moment i picked up the phone to ask about the course right through to the very end of my course tim was amazing, not only a proper nice bloke but down to earth to. any questions tim had the answer. No complicated rubbish but everything you needed to know in a easy to understand way. Fab. Even now after my course tims always on the other end of the phone to help. Don't bother wasting your cash any going for another course because believe me THIS IS THE COURSE TO DO! Keep up the good work mate and speak soon. Thanks once again. "The most valuable thing he provides though is encouragement and support..."
All the arrangements for my course were professionally dealt with and were excellent. Tim instantly puts you at ease and has a huge knowledge of all aspects of the profession. He has the patience and ability to put both the theory and technical knowledge across to give a sound start in tinting. In the hands on side everything is explained and is practical and he provides the self confidence to be able to do it. The most valuable thing he provides though is encouragement and support. "...the best one day's training I have ever had..."
Tim. what can I say. This was the best one day's training I have ever had, enjoyed every minute and learnt a so much from you, thank you so much for all your help and advice. "...my 1st tinting job the knowledge was there and i had no problems"
I attended tim's training school in march of this year as i thought the skill of window tinting complemented my trade as an auto detailer. Although a little nervous of learning a new trade i felt after conversing with tim i'd found the right guy. i was correct, the three days i spent with tim where full on, and not a moment of my time with was wasted, various techniques where shown, talked through and then mastered and not once did tim struggle to either provide an answer or show me where i'd gone wrong, although there was a lot to take in in quite a short time i came away happy. After returning home i then had the task of the building work on my new unit to complete all 8 weeks of it !!. bearing in mind i didn't tint anything during that time when it came to my 1st tinting job the knowledge was there and i had no problems. I've just taken tim up on his offer of joining the affiliates scheme and am proud to say i'm now part of "the ultimate tinting group" thanks again tim and the kettles always on !! TIMS REPLY: Cheers Paul, very kind. Have a look at Paul's own web-site, looks like he has the smartest tint bay I think I've ever seen. Good on you Paul, and don't forget, when you want rid of that mega car of yours, give me a call!! "...I found out Tim had actually taught the other instructors how to fit, That was it my mind was made up..."
After 13 years installing window film on "flat glass" I decided it was time to explore other avenues, I searched the Internet for auto film installers and noted down a few different courses. I stumbled across Tim @ Ultimate Tinting by accident but added him to my list anyway, After reading a few different testimonials I found out Tim had actually taught the other instructors how to fit, That was it my mind was made up, so I contacted Tim and asked a few questions, I found him to be very informative and knowledgeable, He wasn't pushy and left me to make my own mind up. So to cut a long story short I've just completed the course and even though i'd been in the "flat glass" game 13 years, Tim opened my eyes and taught me the correct way to install auto glass. Over the course I found Tim to be patient and easy going, even making a cuppa now and again All in all I've found Tim to be a pleasure to learn under and it would be a privilege to work with him again. Also I'd love to take you up on your t'internet offer so we'll sort that over next few days. Been admiring your site and wondering what colour marker will I be ? Blue ? "So 10 out of 10 well done Tim your course really does work"
After working in the motor trade for 27 years I decided that I wanted to add a window tinting service to my present Business, which was already offering servicing MOTs and bodywork. I didn't want to teach myself as I new after a few weeks of frustration the film would have ended up in the bin and that would have been the end of that. Tim's course was the one that stood out from the rest when searching for tint schools on the net. The course I attended was 9 months ago it was great I learned so much came away and started tinting the very next week. Yes things went wrong but when they did many things I had been shown on the three days with Tim came back to mind and I always got it right in the end. It wasn't long (a couple of weeks) before I gained enough confidence to take on any vehicle presented to me, but you must not give up, after a while it just clicks and you get a good feeling and understanding of what you can and cant do with the film you soon find your feet. Now I find it so enjoyable I look forward to when I have a nice tint job booked in I get in a corner of my workshop and find it so enjoyable and relaxing. OH and the money helps as well. So 10 out of 10 well done Tim your course really does work. Brilliant pub to stay at over the road, good stall, and owners couldn't do enough for you. "My advice is go to Tint School no other will match the quality for price..."
Sorry I've taken a while to get back to you! After getting home from the course i was inching to get started (even after the 5 hour drive) What can i say but Thank you, the 3 days that i spent with yourself were great, not only did i learn vast amounts of information, tricks and tips that would have taken years to pick up but I also had loads FUN!!!! The amount of information you have kept in that head of yours is amazing, no matter how silly or strange the question i had you always had the answer (unlike your competitors who have to phone others for the answers!!) It is amazing at what you can learn in just three days, I went from being able to tint a car what i used to think was ok in around 5-6 hours to now, getting a professional finish every time with ease and always in under 3 hours (still getting quicker by the day) The routines, methods and structure you taught me has amazed me from day one, how with less effort you can get a much better job done. Since getting home I was excited to start, as you know my original idea was to slowly move away from my other business to set up Fusion Tinting gradually. Its taken off so quick that before I've even had time to build a website I have so many jobs booked already, including a limited edition Skoda Octavia VRS 1 of 500 in the country on a 09 plate (only a week old :S), a full rear extension and I have also signed a contract with a local Jaguar dealer for their building and automotive work. I'm also in discussions with a Land Rover Dealer and the local Bmw dealer and its all thanks to you not only teaching me the Ultimate way to tint but also providing me with the confidence. I researched every where for a course, for months on end and decided on Tim's Tint School and what a CHOICE!!! There's excellent accommodation seconds from the tint school, you get to work in a fully working tint bay not a classroom, Tim is one of the nicest guys you will ever meet and so easy to get on and have a laugh with. My advice is go to Tint School no other will match the quality for price and its all 1-2-1 hands on training, not 5-1 watching a man in a room tint!! What you learn from Tim in days will take years to pick up on and other schools won't teach you. (he also provides support after the course has finished !!!) Thanks again Tim and I'll keep you informed on future progress I'm sure you'll have me on the phone in a panic at some point!! Please keep me informed on when you will be updating the site to ### ## ### ### as when you do, I'll be looking to sign on. Also please do keep me informed about the visit to Bekaert, I believe Stephen is coming to visit my area after his holiday but I would still like to see their premises. "Many thanks mate and I thank you for a great 3 days. Hope you don't mind I've attached a pic of you tackleing your Clio, a picture of concentration. Well done on that by the way, not a nice one to start with but completed in 3 hours, brilliant for your first ever full car. Yes I'll keep you informed on upcoming events, and the ######## ####### (Ssshhhhh or my competition will steal that idea too)." "your course was well worth while"
Hi Tim, thanks for the email with all the bits. As for the course i really enjoyed the 3 days, and ive learnt a lot, before i can i have faint ideas of how to tint but you showed me the easiest and quickest ways to do it and its made it so much more easier for me. "We would recommend Tim and Tint School to anyone who wants value for their money"
"Having searched the internet for some time looking for a window tint training course and after much research and discussion with 3 potential training schools, We eventually settled with Tim at Tint school. We found Tim gave us totally impartial and excellent advice on what to look out for when choosing an appropriate course. During our 4 day training course we both found Tim to be very knowledgeable, professional and sometimes incredibly patient with us during certain tasks. After the training was finish we could not wait to return home and get our tint bay up and running and tint our first vehicle. Even after our course we have found Tim to be always happy to receive a phone call when we needed some help. Overall an excellent training course. 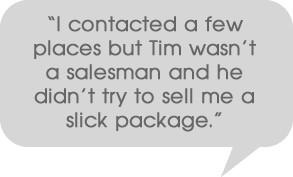 We would recommend Tim and Tint School to anyone who wants value for their money." "...looking forward to tinting the first car for profit"
Well I would just like to say thank you to Tim my eyes are wide open to window tinting as a result of taking this course both myself and my wife enjoyed every minute of this education. All the home work I did before attending the course didn't make a lot of sense gaining information from the internet, DVDs, books made the window tinting business very confusing but after only a short time chatting with Tim we felt we had made the right decision with tint school. While I attempted to tint windows my wife fired question after question at Tim about the tinting business Helen's aim was to gain as much information as possible and get a feel for the business as we are intent on starting our own window tinting business. That left me to learn how to tint - I have instructed on many courses myself and couldn't fault the way Tim instructs he is clear and understandable in his instruction and with you every step of the way, even with Helen asking questions Tim was watching my every move and pointing me in the right direction to learn his technique and I will say this it works. Added on to that is all the paperwork, information and many other vital things we needed to know to get started. I feel a lot more confident with tinting now and we are pushing forward with our business plans and looking forward to tinting the first car for profit. Please say thanks to Adrian and Maria for a lovely stay in the Griffin Inn - the food is first class and the rooms are excellent. "...recommend his courses to everyone"
Would just like to say thanks to tim again for the flat glass course i've just done with him. I had already done the 3 day car course with him in 2007 and for a bit of diversity i decided to do the flat glass course. I would recommend his courses to everyone, as they are one-on-one instead of some of the the classroom courses i saw. What's best is that he's always on the the end of the phone if im stuck, even now! Firstly I would like to thank Tim for a cracking four days. I did the 3 days automotive and one day flat glass course. It was a huge new learning curve for me which was intensive but very enjoyable indeed. Tim shows you the different techniques involved in tinting, which I found truly amazing and with practice and under his watchful eye I began to get the hang of it! On the third day I put my drop glass and heat shrinking skills to the test by doing my own BMW and the satisfaction I got from that was fantastic. It made me think that tinting was for me, even though it took me all day. The advice he offers from marketing to everything involved with tinting is great. His one to one teaching method he adopts is second to none. If you have any problems when you go away and do it yourself he is always there to help with advice and top tips. If you seriously want to do a professional tinting course ring him and speak to him and you will be impressed by the way he doesn't give you any hard sell, just tells you what's involved in the course. I will finish with one final comment. Don't think you will be a master tinter at the end of the course, it takes practice, but what you will have is sound knowledge and technique to build on. My confidence is growing day by day! We began talking to Tim at Ultimate Tinting at the beginning of the year with a view to starting a business in window tinting. My business partner had come up with the idea and to say that I was a little skeptical would be the understatement of the year. After a short period of time of discussing the concept with Tim I felt totally at ease with the idea and could start to appreciate the opportunities in this under developed business area. Tim ran through the agenda of his 3 day course and was able to fit us in at a weekend so that our normal day to day jobs were not disrupted. We found the course informative, practical and above all very interesting and motivating. Of course we had compared Tim's offering to other manufacturers courses and on reflection we have certainly made the right decision to buy from an independent. Other courses offer more classroom based training which we feel wastes time compared to the hands on approach that Tim uses. Tim has also given open advice on marketing, supplier contacts and the image that needs to be created to be successful. The advice that Tim has given is also impartial and honest, other manufacturers course again have an allegiance to their products which deviates from the core needs of training. Megatint as we have named our business would have no hesitation whatsoever in recommending likewise entrepreneurs to take the course with a view of commencing a window tinting business. There is a world of untapped potential with glass that can be explored and developed. Since taking the course in February, we have both changed direction in our careers and established our business in Cornwall. It fits perfectly with our relaxed lifestyle knowing that we can enjoy our family life whilst being able to be involved in a rewarding business that has the flexibility that you wish to create. We have been trading for 3 weeks and have already established a full order book during this time that can only get better. Tim is knowledgeable, patient and meticulous; he has offered excellent ongoing support and advice for which we are very appreciative. We wish Tim all the best in the future and will certainly continue our dialogue. Just a thought I would take a few mins to say thanks again for my training course. The Ultimate Tinting experience was great. Atmosphere, facilities and surrounds were perfect. Initially I was sceptical that a 3 day course could teach me enough to tackle tinting on my own, I am pleased to say however that I was totally unjustified in thinking this. Thanks to a combination of; your obvious knowledge on all things tinting, a genuine enthusiasm for your job and a level of patience not normally shown by mortals, I am now confident enough to tint. With determination and the knowledge of a friendly person always willing to give emergency advice, I feel that I have everything I need to make the; "be my own boss" dream a realistic and enjoyable one.